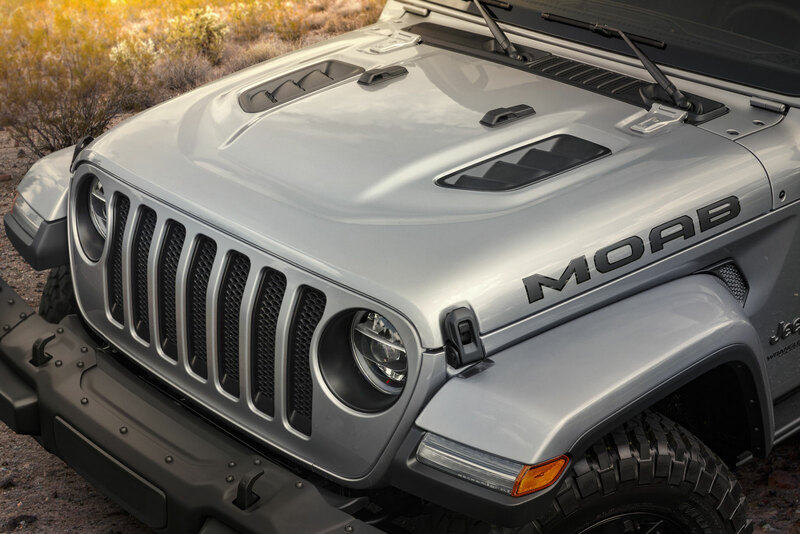 The Jeep® brand is introducing the 2018 Jeep Wrangler Moab Edition. 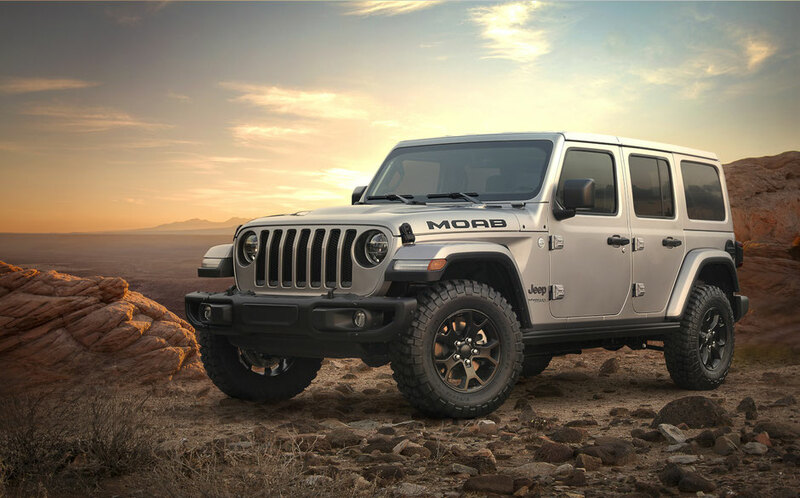 The first limited-edition model based on the all-new Jeep Wrangler, the Wrangler Moab Edition honors the long and storied history the brand shares with the annual Easter Jeep Safari event in Moab, Utah, and the unique role it plays in offering valuable customer insight. The Jeep Wrangler Moab Edition is based on the Wrangler Sahara model and features Rubicon hood and steel bumpers with removable end caps, aggressive 32-inch mud-terrain tires, LED headlights and tail lights, a Moab decal on the hood and 17-inch Rubicon wheels painted in Low-Gloss Black. The headlight surrounds, grille throats and tow hooks are also painted Low-Gloss Black. Wrangler Rubicon rock rails are standard on the Wrangler Moab Edition, but Sahara side steps are available at no additional charge. A body-color hard top is standard, but the Dual Top Group or Sky One-Touch power top are also available. Wrangler Moab Edition is available in nine colors: Granite Crystal, Billet Silver, Punk’n Metallic, Mojito!, Black, Bright White, Sting Gray, Ocean Blue Metallic and Firecracker Red. 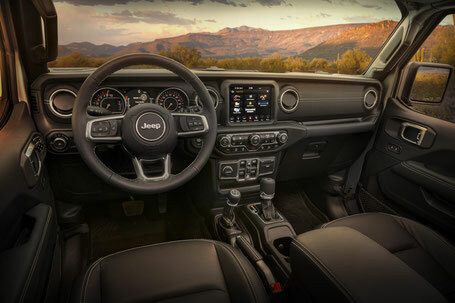 Inside, Wrangler Moab Edition features the Leather Interior Group, which includes leather-trimmed seats and a leather-wrapped dashboard with contrast stitching, and Safety Group, which includes Blind-spot Monitoring and Rear Cross Path detection and ParkView rear backup camera with dynamic grid lines. Other standard features include Selec-Trac full-time two-speed transfer case, Passive Keyless Entry, Trac-Lok limited-slip rear differential, 8.4-inch Uconnect touchscreen with navigation, a nine-speaker premium Alpine sound system and all-weather slush mats. Optional equipment available with the Wrangler Moab Edition includes the Cold Weather Group, which features heated front seats and steering wheel and remote start, Trailer Tow and Trail Rail cargo management system.